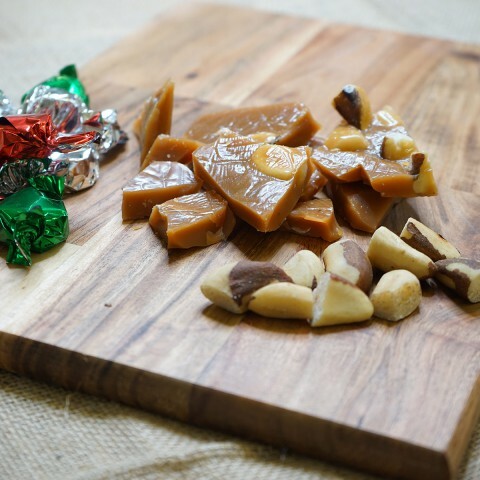 Peanut Brittle Toffee – Made using whole natural salted peanuts, these peanuts are hand rolled into our buttery toffee and set until brittle. 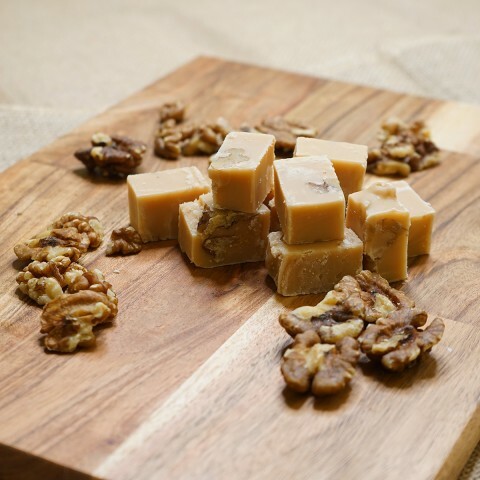 The shard like toffee snaps and shatters leaving the salty peanuts to be savoured with a crunch. Ingredients list: sugar, glucose syrup, butter, salt, PEANUTS. 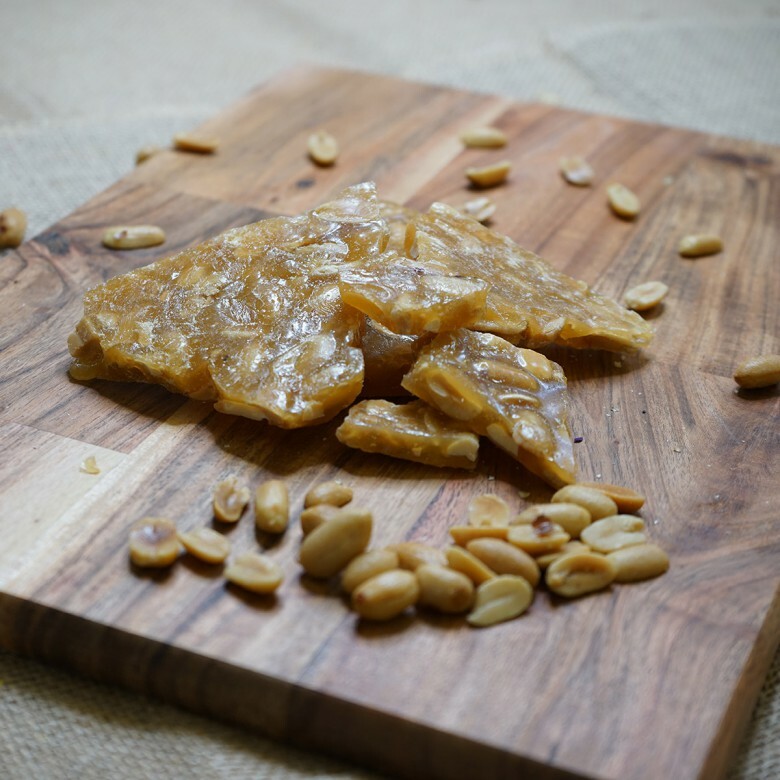 Peanut Brittle is available in two sizes; a 150 gram bag or a 450 gram box.